1. Star Wars: The Force Awakens is set for theatrical release on December 17. 2. 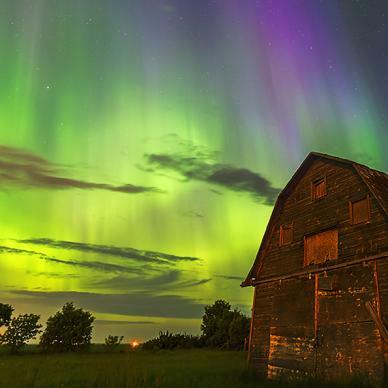 Manitoba has some of the best skies you will ever gaze upon. So what do these two things have in common? Not much. But to have a little fun, we thought we would encourage our amazing community to once again set their sights to the sky in an epic Sky Wars, where yes, Manitoba will awaken. Photo by Nebojsa Novakovic (@nelepl). Gather your camera, your binoculars and The Force and set out on a sky-seeking adventure through our beautiful province. 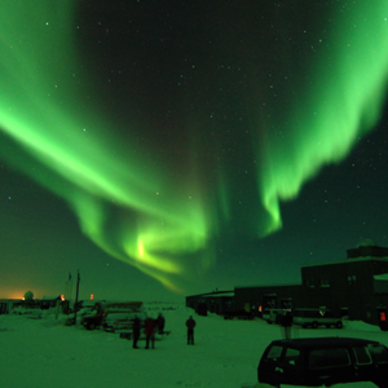 We’re looking for star shots, cloudy captures and amazing auroras. Submit your photos on Twitter or Instagram with the hashtag #skywarsmb to be eligible to win. Three winners will be chosen on December 17 to win $50 gift cards to Cineplex, which can be used at SilverCity Polo Park Cinemas, Famous Players Kildonan Place Cinemas, Cinema City Northgate, SilverCity St. Vital Cinemas and Cineplex Odeon McGillivray Cinemas and VIP! We will announce the contest winners on December 17, 2015 here on our social channels: Instagram, Twitter. No employees or immediate family members of employees of Travel Manitoba are eligible to win.